"Trap" takes over the OCN Sat. & Sun. 22:20 time slot previously occupied by "Priest" and followed by "Kill It" on March 16, 2019.
amber366 Apr 12 2019 10:32 pm Oh My God!!! It was such a suspenseful and wonderful drama. There was not a moment that you can skip through, loved every moment of it. I usually don't like dramas with open endings, but I didn't mind the ending in this drama at all. Highly recommended. Why did they kill Profiler Yoon seo young? I was really heartbroken when she died. She was crying like, why do righteous people always ends dead(Not the exact words...hehehe) but suddenly they killed her unjustly? I know she will be living a hard life with one leg cut and full body burnt but still, She deserves to live. I was feeling heartbroken for 5 days because she died. I was hoping for a Love story between her and the detective(even if the detective is old guy) but her admiration to Mr. Detective is very commendable. Overall I love this drama. Deng Mar 14 2019 11:09 pm Just done with Episode 5. I am taking much longer to finish the drama since I have to pause in betweens. It so intense! I need to process how heavy the story and the characters are. Applause to the writer, director, actors and all the staff! Park S Mar 11 2019 1:06 am I have one question... I don't know that i forgot it or that's untold story How Woo Hyun get infected by snake venom?? And is he risking his life for make scenario like that (with snake venom)?? Ella Mar 03 2019 11:07 pm Wait, suddenly ended? tim Mar 03 2019 9:36 pm what's up with the ending, it feels so rush, and the thing with the virus at the end of episode 7 is kind of unexpected but it doesn't tie together with the story line though, The story line is more like an action psychological type of drama. This kind of ending make viewers think there might be another season, but there is not much room for development though. Over all the story line and the acting are good but the ending is just so so, too rushing. hop eli Feb 28 2019 2:13 pm oh no!!!!! Why the story at episode 3rd so annoyed??????? like how could you suspect someone and then you tell all about your thought at his place? he is CEO, right?! don't you as profilier remember that he have the access of CCTV? and then.. why that chief police officer talk about victim's children in front of him? augh! I don't wanna to continue..
Ana Feb 27 2019 5:28 am Wowww!!! So satisfying it's plot twist, Excellent !!! Kat Feb 25 2019 5:19 am So many spoilers@tim!!! However, can't agree more with you. How could they be so impulsive and not discuss it out when they already know how unscrupulous he is..esp a veteran like Ko.. With his precious beautiful daughter.. how in the world! My guds did suspect Kang right when he threw the laptop... Just couldn't twist my mind enough to work out the logics (though there's pretty much no logic at all). But who know what more is coming.. Who will eventually be successful to put the evil force down? Could it be...??? Let's wait and see! I'm hoping for another major turn which can quickly stop and wrap up the whole story...but is it possible??! tim Feb 24 2019 7:28 pm episode 5 and 6 caught me by surprise at the same time very frustrated. Both Ko and Yoon made the biggest mistake that they confronted Kang by themselves. Kang is too smart to leave any evidence at all, and as detective they should know better that they won't get anything from him, they need to work behind the scene instead of showing him their cards just like that, if they missed the actual truth by 1mm, he probably made a 1mm mistake somewhere in his scheme, they just need to find it without provoking him. who would think that the prey is actually the hunter, and the trap is his to begin with, his character is well written. 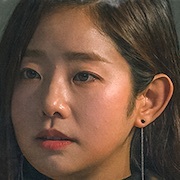 Can't wait for the last episode, I wonder how the writer will wrap this up in just 1 episode left, maybe they should make it 8 episode instead of 7. Ssiii Feb 23 2019 9:12 am Well im glagd im not alone. Its too short. Theres 7eps only. It so awesome. Tus Feb 21 2019 9:12 am so sad that it only has 7 episodes, whyy T___T i really love the actors and the drama. or maybe there will be season 2? Rannaj Feb 20 2019 5:07 pm First time commenting Korean drama. I find this one very exciting. Can't wait the next episode. ??? Huali Feb 19 2019 8:20 pm Wow wow wow!!!!!!!! Awesome drama.... I'm so sad it is only 7ep. It is a very great drama. 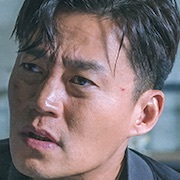 Gita Feb 12 2019 8:13 pm Lee Seo Jin !!! YES !!!!!! Love this drama !!! Kat Feb 12 2019 7:34 am Yes! Seo Jin is back with another great drama! Not like the predictable ones.. And I fully agree with Tim that OCN dramas are either a hit or a miss..and this one is good! Hope it's going to be good all the way since this is only 7 eps and not have to be dragged on and on when they have ran out of storylines! For those who loves Seo Jin and period dramas, check out his "Lee San, the wind of the palace". But prior warnings the drama has 76 episodes and is surely addictive! seoltangonly Feb 11 2019 1:01 pm this is so lit !! i love all of actor and actrees. and so sad that kang shi woo was dead. tim Feb 10 2019 9:31 pm wow, this drama is a total hit, good solid story line, good acting. 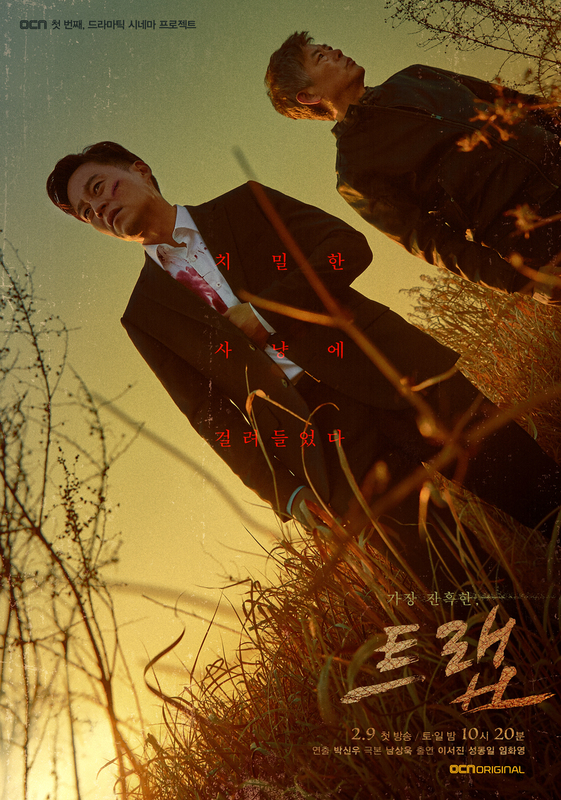 OCN dramas are either a hit or miss, this one definitely a hit. This is a new program from OCN called "OCN dramatic cinema" so they use the "film and drama" format for this drama, so if you pay closed attention you can see that it looks like theatrical movie more than tv drama, the way they processed the images is different, the angle and color look different too, and I think it cost more than the traditional way of shooting tv drama, plus they have another series after this one. I think the same method was use on "kingdom" a Netflix series. Lola Feb 10 2019 7:38 am Woo-hoo Seo Jin is back!!! Thanks a lot... Yay! I luv this guy... more 3 Meals a Day or Youn's Kitchen... LSJ fighting! tim Jan 06 2019 6:32 pm I've been watching him in grandpas over flowers, never watch any movies or dramas he's in, so will wait for this one. Greta Nov 03 2018 1:12 pm I wish it has more episodes though..why only 7?.I need to see my Mr.Grumpy in the screen longer? ?Im so excited for this one. danniah Sep 15 2018 2:13 am Okay OCN, you kill me. I really want to jump right to 2019 to watch this. 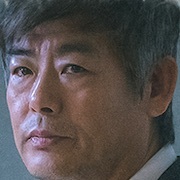 Dong-il appa and Seojinnie ahjussi on same frame for mystery drama by OCN. I guess this will be my best birthday gift. Olivia Sep 15 2018 1:29 am OCN dramas are the best... I can’t wait to watch it ?